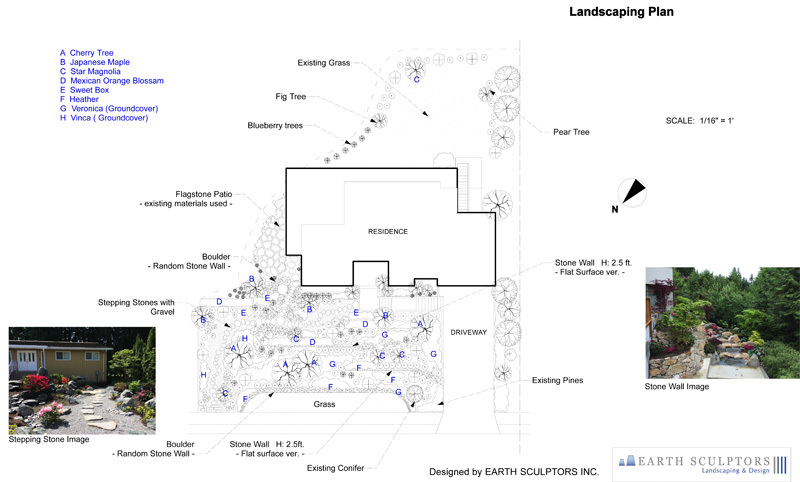 Process: Planning & Design | Earth Sculptors Inc.
Each garden project serves as a complement to the home or buildings in its environment, and must be designed to provide a sense of peace and comfort. It should elegantly match the surrounding architecture and neighbourhood, as well as the shape and atmosphere of the site. Poorly designed spaces will leave visitors with an unbalanced, unpleasant feeling, while great landscaping will spark a natural sense of joy. During the consultation phase of each project, we carefully inspect the site and consult closely with our clients to achieve a design that will exceed expectations. 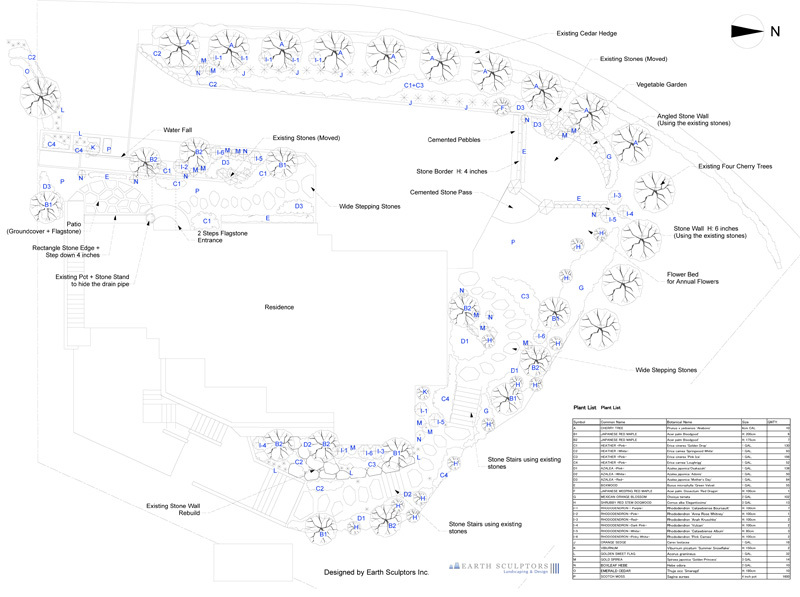 After a thorough investigation of the site, surrounding buildings, and the wider neighbourhood, we begin the initial design process – perhaps the most critical point of each landscaping project. We then create detailed, illustrated custom blueprints that encapsulate a complete image of the finished project, with an emphasis on establishing just the right character and atmosphere. We often provide multiple designs that feature different perspectives and goals, allowing our clients to choose a plan that best matches their particular vision. 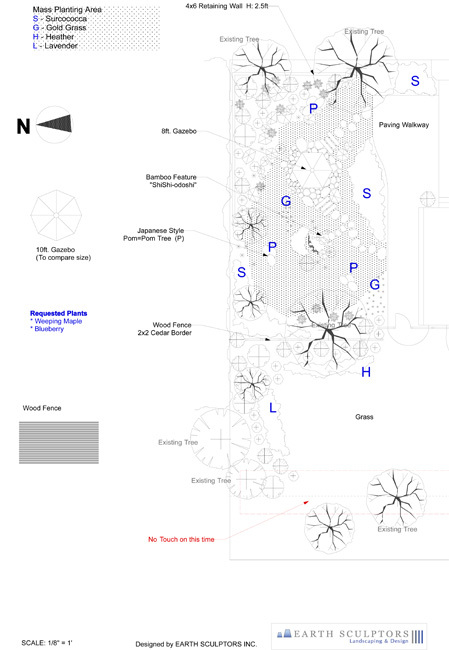 After confirmation and adjustments, a final design plan is selected. 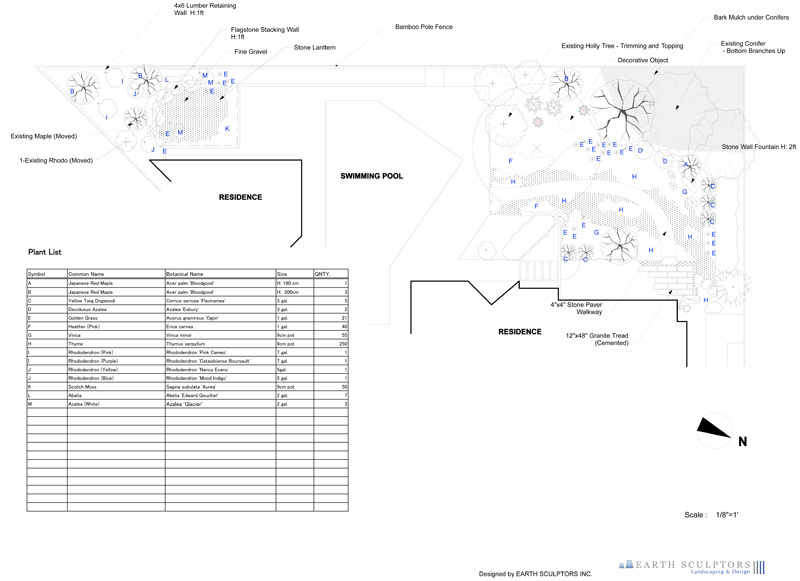 The next step is the construction of your garden, using our professional experience to bring the finalized blueprints to life. Priority is placed on building a space that is well-designed, safe, comfortable, and easy to enjoy. Fine details are assembled into a cohesive whole – a backdrop of natural beauty that the entire family will treasure. 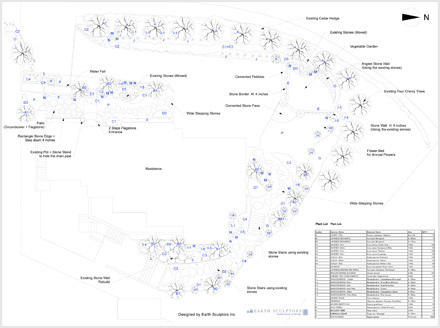 A wonderful garden space is evolving and in a constant state of change, and the design process does not end with the installation. Trees and plants grow and transform, and watching your garden develop over the years can be a great source of joy. We provide meticulous care to ensure that the beauty of your garden is maintained and enhanced into the future. You can think of us as a member of your household – ensuring that your landscaping evolves in harmony with your family’s lifestyle.